Published in 2005, this book encompassed two years of diligent work by the Atwater Historical Society, Inc. 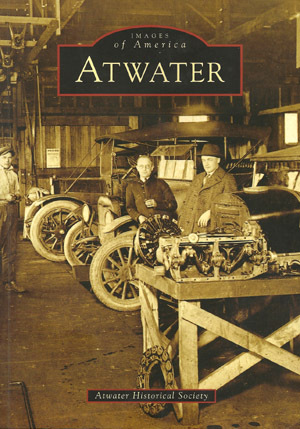 The book covers the pictorial history of the area from the time Atwater began as a railroad siding in the 1870’s until the late 1950’s. Many days and hours were spent by Jay Baldwin just tracking down some of the wonderful old photographs. We hope you enjoy our efforts. 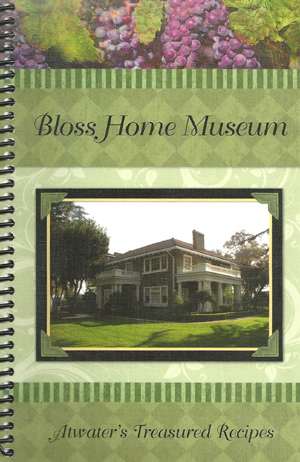 Published in 2012 this collection of recipes was put together by Atwater Historical Society, Inc. This great little book has a short history of the town as well as pictures of Atwater at the beginning of each category. The last category “Gone But Not Forgotten” contains recipes from many of Atwater’s well known residents including a cookie recipe that was Eliza Atwater’s. Good food and good cooking in this book.